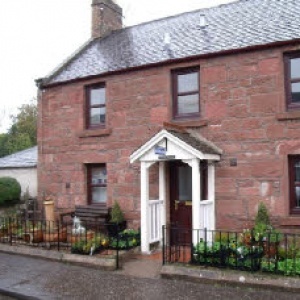 Doune House B&B offers 3 rooms in a comfortable Victorian family home connected to our family run businesses of a rural post office and first class florist. Our rooms consist of 1 double en suite (ground floor) 1 twin room with private bathroom and 1 family room (sleeps up to 4) with private shower room. All Rooms have wash hand basins TV / Freeview, Wi-Fi, tea/coffee making facilities. Guests also have access to their own sitting room which has Sky TV and a Nintendo Wii game console or you can just relax with a book. We pride ourselves in using local produce and even the eggs are from our girls in the garden. We can cater for all dietary requirements including Gluten Free,Vegans and Vegetarians.